Day one of a new year starts with you getting bribed! Congratulations! 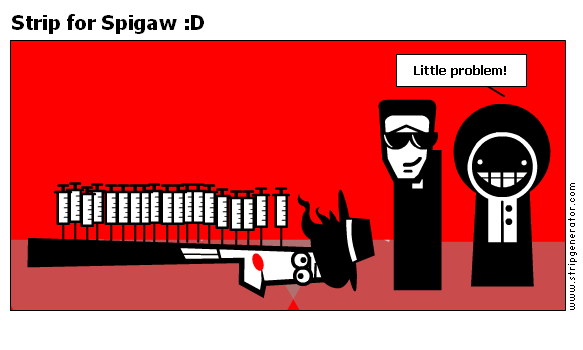 You can't kill SPIGAW!!! He's beginning to really look like Pinhead!! Great to share Bribed with you wich! No, Spigaw! You WERE dead, now you gonna ressurect!